Place the water and shiitake in a medium saucepan, cover and bring to a boil. Reduce the heat to medium-low and simmer about 10 minutes. Add onions and carrots and simmer 3 minutes. Reduce heat to low and add the wakame, Chinese cabbage, and tofu. 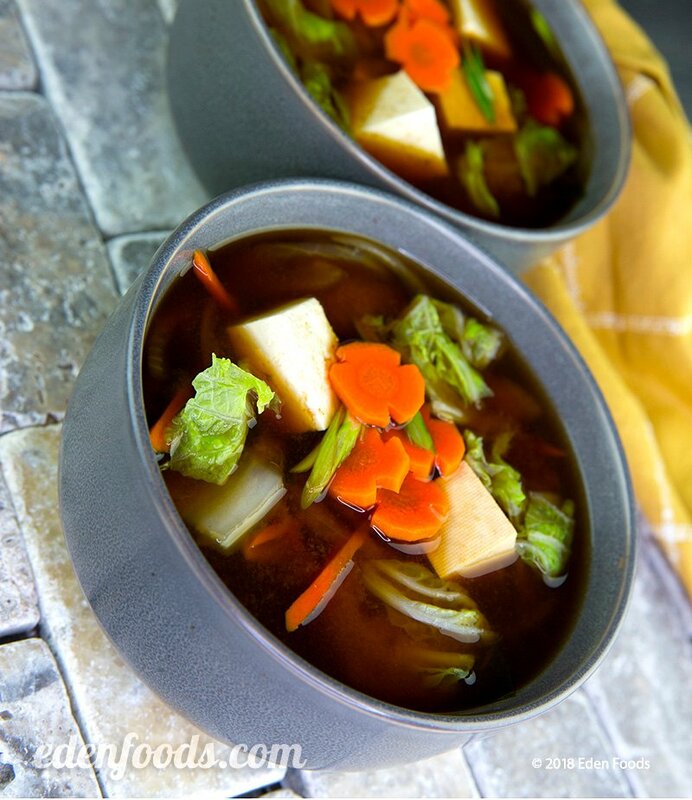 Combine the two varieties of miso and pureé with 4 tablespoons water or soup broth. Add the miso to the soup and mix. Simmer without boiling for 2 to 3 minutes. Ladle into serving bowls and garnish with scallions.